Biography: Dr. Abdelaziz M Thabet is a Professor at York University, Center for Refugee Studies, Canada. He is a President of Consultant Child and Adolescent Psychiatrist at Child Health Research Group LTD, Canada. He received his Ph.D. in Child and Adolescent Psychiatry at Medical School- University of Leicester, 2003, UK. He was running the clinical setting in Gaza city and was seeing adults and children victims of trauma and political violence. Cases were varied from depression, psychosomatic problems, anxiety, PTSD in adults. Children were referred due problems such as fears, anxiety, bed wetting, acute stress disorder, PTSD, ADHD, and conversion disorder. In seeing such cases, Prof Thabet decided to study the impact of trauma on children in the Gaza Strip in 1993. On the last three decades professor, Thabet had conducted very interesting research including the prevalence of mental health problems in Gaza and West Bank, coping strategies used by children and parents. He targeted different ages and preschool children were in the target group in which he carried out studies of the mental health of children in preschool age and their mothers. He also studied patients in different departments in the hospitals such as End Stage Renal Failure, Cancer patients both in children and adult departments. He Published more than 170 articles in different Journals. After a while, he conducted an evaluation of intervention studies including different intention programs such as writing therapy, school-based intervention, psychoeducation, psychodrama. In the last years, he started to lock for risk and protective factors in children and adult’s victims of political violence, stress, and trauma. He had conducted studies to see the impact of trauma, stress on resilience and PTG of adolescents and adults. His research includes both qualitative and quantitative ways of data collection. Also, Prof Thabet had targeted marginalized population such as Labor, orphaned, children lost their fathers in war, children with special needs, children under dialysis. Master in Community mental Health Program-School of Public Health -ALquds University-1999. Master in Community mental Health Program-Trauma Tract 2014 Al-Quds University-1999. Master’s in clinical psychology –Amman University-2009-Jordon. Master in Community mental Health Program-Psychotherapy Tract 2014 ALquds University-1999. BA in Public Health-2000. ALquds University-1999. Master’s in public health 2000- ALquds University. 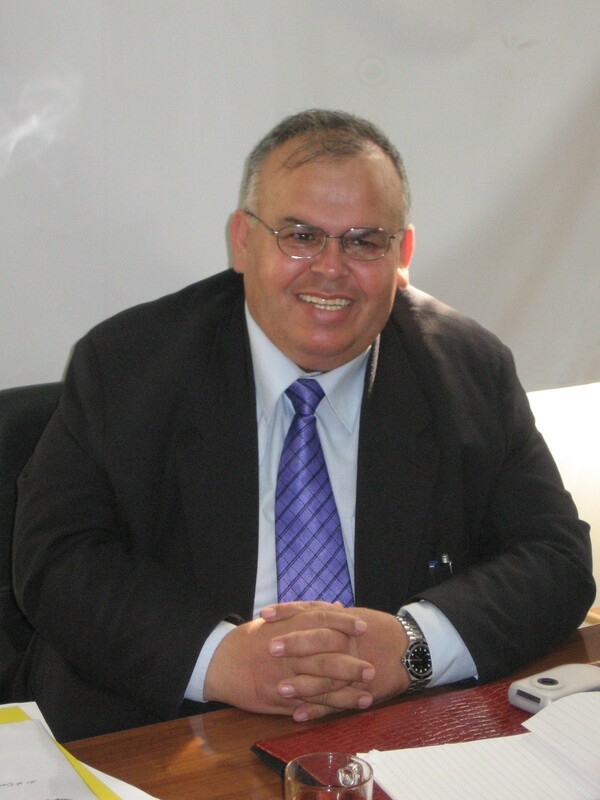 Chairman of the Child and Adolescent Psychiatry unit at the Arab Federal of Psychiatrists. The General Conference for Medical Professions, Libya. Member of Child and Family Counseling and Training Center Society- Gaza-. Member of World Psychiatric Association “Children in Conflict task force”. Scientific Public Health School Conference at Jerusalem May 2013. Degenerative Intellectual & Developmental Disabilities. Editorial Board Member of Journal of Psychiatric and Mental Health Nursing. Journal of Trauma and Critical Care since 2017. The Best Researcher in 2017 with Award from Arab Psychitry Foundation for his work. Social support among Disabled Palestinian Children in the Gaza Strip. 3. Hana'Ahmed Qeshta, Ahmed M. AL_Hawajri, & Thabet, AA., (In Press 2018). The relationship between War Trauma, PTSD, anxiety, and depression among adolescents in the Gaza Strip. 5. Najah Ali Aqel and & Thabet, A, A. (2018) The relatonship between siege stressors, war trauma, and PTSD among Palestnian women in Gaza Strip. BAOJ Psycho 3: 41. 6. Thabet, AA. (2018). Attitudes of boys in first-grade governmental secondary schools in the Gaza Strip toward the gender roles, masculinity, women roles, gender-based violence, and women's participation in political and community activities. Report for AISHA, fuded by Women UN. 7. Olayinka Atilola; Dejan Stevanovic; Paulo Moreira; Katarina Dodig-?urkovi? ; Tomislav Franic; Ana Niksic; Rajna Knez; Nikolina Davidovic; Mohamad Avicenna; Isa Multazam; Antonio Monteiro; Ribas Adriana; Dusko Stupar; Azra Deljkovic; Laura Nussbaum; Thabet Abdelaziz; Dino Ubalde; Petar Petrov; Panos Vostanis" (2018 in press). Perception of general locus of control and variance in posttraumatic stress symptoms among adolescents with trauma history: Results from a cross-sectional cross-cultural study”. Culture, Medicine, and Psychiatry Journal. 8. Thabet, AA., & Thabet S., (2018). Stress, trauma, mental health and ways of intervention of Palestinians in the Gaza Strip: review paper. Degenerative Intellect Dev Disabil, 3(1), 1-8. 9. Thabet, AA., & Taysir Abdalla. (2018). Mental Health Problems among University Palestinian Students. JOJ Nurse Health Care. 7(1): 555704. DOI: 10.19080/JOJNHC.2018.07.555704. Capabilities and Efficiency of Patients Referred to Gaza Community Mental Health Center. Clin Exp Psychol 4: 182. doi: 10.4172/2471-2701.1000182. 15. Hani Hanafi and Thabet, A, A. (2017). The Relationship between Parenting Styles and Mental Health Problems among Preschool Children Living in Gaza Strip. EC Psychology and Psychiatry 7.7, 347-357. 19. Thabet AM, &Thabet SS. (2017). Stress, trauma and post-traumatic stress disorder among adolescents in the Gaza strip. J Trauma Crit Care, 1(2), 25-33. 20. Thabet AAM, &Thabet SS. (2017). Coping with trauma among children in South of Gaza Strip. Psychol Cogn Sci Open J. 2017; 3(2): 36-47. doi: 10.17140/PCSOJ-3-122. 21. Thabet, A.A.M & Tariq Said Qrenawi. (2017). The Relationship between Parenting Styles and Fear among Palestinian Children in the Gaza Strip”. EC Psychology and Psychiatry 2.2: 61-71. 23. Thabet AM. (2017). Prevalence of ADHD and Mental Health Problems among Preschool Children in the Gaza Strip. Clinical Experimental Psychology, 3: 149. doi: 10.4172/2471-2701.1000149. 24. Thabet, A.A., & Mansour, M. (2017). The relationship between PTSD, Anxiety, and Depression in Palestinian children with cancer and mental health of mothers”. NTERNATIONAL JOURNAL OF CANCER BIOLOGY AND CLINICAL ONCOLOGY, 1 (1), 19-27. 25. El-Kahlout Ahmed & Thabet AA. (2017). Effects of Political and Community Violence on Mental Health of Adolescence in Gaza Strip. J Cog. Psyc.1. 27. Thabet, A.M., & Vostanis, P. (2017) Effect of Trauma on Mental Health of Parents and Children in the Middle Area of the Gaza Strip. OJ Nurse Health Care 3(5): JOJNHC.MS.ID.555621. 28. Reema Awni Bseiso &Thabet, A.A.M (2017). The relationship between siege stressors, anxiety, and depression among patients with cancer in Gaza Strip. Health Science Journal, Vol.11 No.3:499. 30. Heba Al Ghalayini, & Abdelaziz M Thabet. (2017). War Trauma and Anxiety and PTSD among Preschool Children in the Gaza Strip. The Arab Journal of Psychiatry Vol. 28 No.1 Page (36 - 45) (doi: 10.12816/0036880). 31. Murtaja EF, &Thabet AA (2017) Prevalence of Domestic Violence among Pregnant Women Attending Primary Health Care Clinics in Gaza. Clin Exp Psychol 3: 156. doi: 10.4172/2471-2701.1000156. 32. Thabet, A.A.M, M. W. Elheloub, &Vostanis, P. (2017). Prevalence of PTSD, depression, and anxiety among orphaned children in the Gaza Strip. EC Paediatrics 5.6 (2017): 159-169. 34. Al-Sheikh, N., & Thabet, A.A. (2017). Post-Traumatic Stress Disorder due to War Trauma, Social and Family Support among Adolescent in the Gaza Strip. Journal of Nursing and Health Sciences, 3(2), 1-12. 35. Thabet, AA., Thabet, S., & Vostanis, P. (2017). Coping and Mental Health problems among Palestinian Refugee Families. Journal of Psychology and Cognition. Volume 2 Issue 2, 149-156. 37. Thabet, A.A.M. (2017). Risk and Protective Factors in Relation to Trauma and Post Traumatic Stress Disorders: A Meta-Analytic Review”. EC Psychology and Psychiatry 2.4, 122-138. 39. Abu shawesh, Eman M, Fadel A, & Thabet, A. A. (2017) The Relation between Parenting Styles and Attachment among Preschool Children in the Gaza Strip. Glob J Intellect Dev Disabil. 2017; 3(3): 555612. 40. Murtaja EF, & Thabet AA (2017) Prevalence of Domestic Violence among Pregnant Women Attending Primary Health Care Clinics in Gaza. Clin Exp Psychol 3: 156. doi: 10.4172/2471-2701.1000156. 41. Murtaja FF, & Thabet AAM. (2017). Anxiety and depression among pregnant women in the Gaza Strip. Psychol Cogn SciOpen J.; 3(4): 137-144. doi:10.17140/PCSOJ-3-136. 42. Thabet, A.A, & Thabet, S.S. (2016). The Relationship between Trauma due to Winter Storm Alexa, PTSD, Mental Health of Palestinians in the Gaza Strip. Research in Health Science, 1(1)11-21. 43. Thabet, A.A, Thabet, S.S. & Vostanis P. (2016). Relationship between trauma due to winter storm Alexa, post-traumatic stress disorder and other mental health problems of Palestinian children in Gaza Strip. Psychol Cognitive Sci Open J.; 2(2): 66-72. doi:10.17140/PCSOJ-2-117. 46. Thabet, A.A.M, Sana Sabah Thabet. & Vostanis, P. (2016). The relationship between school violence and resilience in Palestinian children in the Gaza Strip. International Neuropsychiatric Disease Journal 7(4): 1-10, 2016; Article no. INDJ.26895 ISSN: 2321-7235, NLM ID: 101632319 SCIENCEDOMAIN international. 47. Thabet, A.A., & Abusultan, S. (2016). War trauma, anxiety, and resilience among university students in the Gaza Strip. Clinical Psychiatry-Vol.2 No.4:19. DOI: 10.21767/2471-9854.100032. 49. Thabet AA & Panos Vostanis. (2016). E?ects of a Writing Intervention for Palestinian Adolescents Victims of Political Violence in Gaza Strip. BAOJ Psychol 3(1) 012. 51. Thabet, A.A., Thabet, S., & Vostanis, P. (2016). The relationship between war trauma, PTSD, depression, and anxiety among Palestinian children in the Gaza Strip. Health Science Journal: 1791-809X. 52. Aysheh, Yousef Mosallam., & Thabet A.A., (2016). Coping with Stressful Life Events and Mental Health Disorders among University Students. BAOJ Psychology 3(1), 011. 53. Abu Tawila, H. Thabet, AA. (2015). Prevalence of smoking among patients attending cardiac clinic in Gaza Strip. British Journal of Medicine & Medical Research, 8(10) 848-854. 54. Thabet, AA, Abu Sneada, N., Dajani Khuloud Khayyat, and Panos Vostanis (2015). Prevalence of Psychosomatic symptoms among Traumatized Palestinian Adolescents in the Gaza Strip. British Journal of Education, Society & Behavioural Science 8(2): 94-103, 2015, Article no. BJESBS.2015.103. 55. Juma, A., & Thabet, AA. (2015). Relationship between stressors due to siege of Gaza Strip on anxiety, depression and coping strategies among university students. Arab Journal of Psychiatry. 25, 39-48. (doi: 10.12816/0010504). 57. Thabet AA, Ahmad Abu Tawahina, Raija-Leena Punamäki and Panos Vostanis.(2015). Trauma, PTSD, and Traumatic Grief among Palestinian Children. SM J Community Med. 2015;1(3):1011. 58. Thabet AA, Ahmad Abu Tawahina, Raija-Leena Punamäki, & Panos Vostanis (2015), Prevalence and Mental Health Function of Resilience in Condition of Military Siege and Violence in a Palestinian Community Sample. Journal of Psychiatry Volume 18, Issue 3, 1-9. 59. Thabet, A., & Thabet, S. (2015). Acute Stress Disorder in Palestinian Children in the Gaza Strip. International Neuropsychiatric Disease Journal 4(2): 55-65, 2015; Article no. INDJ.2015.026 ISSN: 2321-7235. 60. Thabet, A.A.M, A. Abu Tawahina, David Henley, Henrick Pelling, Panos Vostanis & Kamal Abu Qamar (2015). Mental Health of Palestinian Adults with Disability in the Gaza Strip. British Journal of Education, Society & Behavioural Science 10(3): 1-10, 2015, Article no. BJESBS.18268 ISSN: 2278-0998. 61. Thabet, A.A.M, A. Abu Tawahina, David Henley, Henrick Pelling, Panos Vostanis & Kamal Abu Qamar (2015). Mental Health and Quality of Life of Disable Palestinian Children in the Gaza Strip. Health, 2015, 7, 994-1006. 62. Nader Ashraf Shamia, Thabet, A.A.M, & Panos Vostanis. (2015). Exposure to war traumatic experiences, PTSD and post traumatic growth among nurses in Gaza. Journal of Psychiatric and Mental Health Nursing - J Psychiatr Ment Health Nurs. 2015 Dec;22(10):749-55. doi: 10.1111/jpm.12264. Epub 2015 Aug 17. 64. Thabet, A.A.M, & Sana Sabah Thabet. (2015). Stress, Trauma, Psychological Problems, Quality of Life, and Resilience of Palestinian Families in the Gaza Strip. Journal Clinical Psychiatry, 1(1), 11. 65. Thabet, A.A.M, & Sana Sabah Thabet. (2015). Trauma, PTSD, Anxiety, and Resilience in Palestinian Children in the Gaza Strip. British Journal of Education, Society & Behavioural Science 11(1): 1-13, 2015, Article no. BJESBS. 19101.ISSN: 2278-0998. 66. Thabet, A.A.M, & Sana Sabah Thabet. (2015). Quality of Life of Palestine Children Exposed to Wars in Gaza. International Neuropsychiatric Disease Journal 6(1): 1-11, 2016; Article no. INDJ.22189 ISSN: 2321-7235, NLM ID: 101632319. SCIENCEDOMAIN international. www.sciencedomain.org. 68. Abdelaziz Thabet, Omar EL-Buhaisi, Vostanis, P. (2014). Trauma, PTSD, Anxiety, and coping strategies among Palestinians adolescents exposed to War on Gaza. The Arab Journal of Psychiatry, 25 (1), 71-82. 69. Reem Taisir Ghannam, Abdelaziz Thabet. (2014). Effect of trauma due to war on dissociative symptoms and resilience among Palestinian adolescents in the Gaza Strip. Arab Journal of Psychiatry, 25 (2),107–118. 70. Ikram Elumour, Abdelaziz Thabet. (2014). Prevalence of Attention Deficit Hyperactivity Disorder and Conduct Disorder among a school-based sample of Palestinian children in Gaza Strip. Arab Journal of Psychiatry. Vol. 25 No. 2 Page 119–130. 71. Thabet, A, A, Panos Vostanis. (2014). Impact of Trauma on Palestinian Children’s and the Role of Coping Strategies. British Journal of Medicine & Medical Research, 5(3): 330-340. 72. Thabet, A, A, Dajani, K.K., Vostanis, P. (2013). Morality and Resilience of Palestinian adults Victims of siege. Arabpsynet E. Journal, 36, 169-177. 73. Thabet, A, A, Dajani, K.K., Vostanis, P. (2013). Palestinian mothers' and pre-school children’s mental health problems. International Journal of Medicine and Medical Sciences, 3 (2) 371-375. 75. Abadsa, Anwar., & Thabet, Abdel Aziz Mousa (2013). Paternal perception of mental health problems in male Palestinian children in the Gaza Strip. Arabpsynet E.Journal, 37-38, 164-168. 76. Thabet A, A., Dajani, K.K., Abdulla, T. (2013). Standardization of normative tools for assessment of academic learning disabilities among lower grade students in the West Bank and Gaza Strip. Submitted to Journal of Learning Disability. Journal of Learning Disability. Education Research Journal Vol. 3(10): 218 - 234. 77. Dajani, K.K., Abdulla, T., Thabet A, A., (2013). Prevalence of learning disabilities in Palestinian Children in Fifth and Sixth grades in West Bank and Gaza Strip. Arabpsynet E. Journal, 39-40, 274-282. 78. Dajani, K.K., Abdulla, T, Thabet A, A. (2013). Prevalence of learning disabilities in Palestinian Adolescents in Seventh to Ninth grades in West Bank and Gaza Strip. Arabpsynet E. Journal, 39-40, 283-288. 79. Thabet, A, A, Abu Tawahina, A, El Sarraj, E, & Vostanis, P. (2013). Death Anxiety, PTSD, Trauma, Grief, and Mental Health of Palestinians Victims of War on Gaza. Health Care Current Reviews 2013, 1:2http://dx.doi.org/10.4172/hccr.1000112. 80. Thabet, A. A., Abdulla, T., Nick Taub & Vostanis, P. (2013). Coping Strategies of Children and Adolescents Exposed to War Conflict. Arabpsynet E. Journal, 39-40, 289-296. 82. Ingridsdatter, I., Nielsen, L., Kolltveit, S., Thabet, AA., Christian, T., Johnsen, J., Dyregrov, A., Ståle Pallesen, S., & Laberg, J.C. (2012). Risk Factors for PTSD, Anxiety, and Depression Among Adolescents in Gaza. Journal of Traumatic Stress, 25, 164–170. 83. Ingridsdatter, I., Nielsen, L., Kolltveit, S., Thabet, AA., Christian, T., Johnsen, J., Dyregrov, A., Ståle Pallesen, S., & Laberg, J.C. (2012). Short-term effects of a writing intervention among adolescents in Gaza. Journal of Loss and Trauma 17 (5), 403-422. 84. Thabet, A A. Dajan. K.K. (2012). Substance abuse among Palestinians in the West Bank and Gaza Strip. Arabpsynet E. Journal, 36, 76-78. 85. Thabet, A, A. (2012). The impact of extracurricular activities in the summer camps on mental health of children in the Gaza Strip. Arabpsynet E.Journal, 36, 229-235. 86. Abadsa, Anwar., & Thabet, Abdel Aziz Mousa (2012). Mental health problems among Palestinian University Students in the Gaza Strip. Arabpsynet E. Journal, 34-35, 227-235. 87. Thabet, AA, Vostanis, P. (2011). Impact of political violence and trauma in Gaza on children’s mental health and types of interventions: A review of research evidence in a historical context. International Journal of Peace and Development Studies, 2(8), 214-218. 88. Thabet, A.A., Abu Tawahina, A., El Sarraj, E., & Vostanis, P. (2011). Evaluation of a community intervention for women victims of domestic violence in the Gaza Strip. International Journal of Peace and Development Studies, 2(3), pp. 88–95. 89. Thabet, A.A.M, A. Abu Tawahina, David Henley, Henrick Pelling, & Vostanis, P. (2011). Post-traumatic stress disorder and attention deficit hyperactivity disorder in Palestinian. nternational Psychiatry Volume 8 Number 4 November 2011. 90. Thabet AA, Matar S, Carpintero A, Bankart J, & Vostanis, P. (2011). Mental health problems among labour children in the Gaza Strip. Child Care Health Dev;37(1):89-95. 91. Massad, S. G., Nieto, F.J., Palta, M., Smith, M., Clark, R., & Thabet, A.A. (2011). Health-related quality of life of Palestinian preschoolers in the Gaza Strip: a cross-sectional study. BMC Public Health, 11, 253-260. 93. Thabet, A.A, Abu Tawahina., A., El Sarraj, E., & Vostanis, P. (2009). Effect of war on Palestinian children behavioral and emotional problems. Arabpsynet e.Journal: 2 4, 26-30. 94. Thabet, A.A., Abu Tawahina., A., El Sarraj, E., & Vostanis, P. (2009). Comorbidity of Anxiety and Depression in Palestinian Children after War on Gaza. Arabpsynet E. Journal, 24, 31-37. 95. Thabet, A.A., Abu Tawahina., A., El Sarraj, E., & Vostanis, P. (2009). Effectiveness of School-based Debriefing Sessions for Palestinian Children Affected by War and Trauma. Arabpsynet E. Journal, 24, 38-49. 96. Thabet, A.A., Abu Tawahina., A., El sarraj, E., & Vostanis, P. (2009). Effectiveness of Student Mediation Program to Decrease Behavioural and Emotional Problems in Palestinian Children Affected by War and Trauma in the Gaza Strip". Arabpsynet E. Journal, 24, 50-55. 99. Thabet, A, A. Thabet, S.S. (2009). Coping of Palestinian Women with Trauma and Loss Due to War on Gaza. Arabpsynet E.Journal, 24, 85-93. 100. Thabet, A, A. Thabet, S.S. (2009). Effectiveness of Psychoeducation Program on Palestinian Women Coping and Mental Health in the Gaza Strip. Arabpsynet E.Journal, 24, 77-84. 102. Thabet, A.A, Abu Tawahina., A., El Sarraj, E., & Vostanis, P. (2009). Impact of Siege on Palestinian Children Quality of life in the Gaza Strip, Arabpsynet E.Journal, Vol, 101-107. 103. Mansour, M., Thabet, A.A., Vostanis, P. (2009). Psychiatric Disorders among Children Attending Cancer Department in Gaza Strip, Arabpsynet E.Journal, 24, 108-113. 104. Thabet, A.A., Abu Tawahina., A., El Sarraj, E., Vostanis, P. (2009), Effect of Political Violence on Palestinians in the Gaza Strip. Arabpsynet E.Journal, 21, 22, 250-254. 105. Thabet A A., Abu Nada, Ibrahim, Shivram, R., Winter, E, W., & Vostanis P. (2009). Parenting Support and PTSD in Children of a War Zone. International Journal of Social Psychiatry, 55, 226-237. 106. Ragheb Ali Abu Laila, Thabet A A, & Vostanis, P. (2009). Effect of Trauma on Mental Health of Ambulance Drivers in Gaza Strip. Arabpsynet E. Journal, 21-22, 237-243. 108. Thabet, A.A., Abu Tawahina., A., El Sarraj, E., & Vostanis, P. (2009). Palestinian Children Perception of Parenting Behaviour in Relationship to Children Mental Health Problems Arabpsynet E.Journal, 21,22, 77-83. 109. Thabet, A.A., Abu Tawahina., A., El Sarraj, E., & Vostanis, P. (2009). Marital Satisfaction and Mental Health of Palestinians in the Gaza Strip Arabpsynet E.Journal, 21,22, 84-89. 110. Thabet, A.A., Abu Tawahina., A., El Sarraj, E., & Vostanis, P. (2009). Impact of Trauma on PTSD and Anxiety among Palestinian School-age Children, Arabpsynet E.Journal, 21,22, 244-249. 111. El Majdalawy, A.k., Thabet, A A., & Vostanis, P. (2009). Effect of Trauma on School Performance among School-aged Children in Gaza Strip. ". Arabpsyne t E. Journal, 24, 41-45. 113. Thabet, A.M H. Al Ghamdi, T. Abdulla, M.-W. Elhelou and P. Vostanis (2010). Attention Deficit-hyperactivity Symptoms among Palestinian Children. EMHJ, 16, (5), 259-263. 114. El sarraj, E, Diab, T., & Thabet, AA P (2008). Post-Traumatic Stress Disorder. Chapter-in Book Caring for Arab patients: a biopsychosocial approach. (Edi): Nasir, L. S., Abdul-Haq, A. K. Radcliffe Pub. Oxford: UK. PP 185-196. 115. Thabet, A. A. Tawahina, A. Abu; El Sarraj, Eyad., & & Vostanis, P. (2008). Exposure to War Trauma and PTSD among Parents and Children in the Gaza Strip. European Child & Adolescent Psychiatry, 17, 191-199. 116. Thabet, A.A., Abu Tawahina., A., El Sarraj, E., & Vostanis, P. (2008), “Siege and Quality of Life of Palestinians in the Gaza Strip”, Arabpsynet E. Journal, 20, 157-164. 117. Thabet, A.A., Abu Tawahina., A., El Sarraj, E., & Vostanis, P. (2008), “The Relationship Between Siege of Gaza Strip, Anger, and Psychological Symptoms, Arabpsynet E.Journal, 20, 174-184. 118. Al arjani, S. E, Thabet, AA., & Vostanis, P (2008). Coping Strategies of Traumatized Children who lost their Fathers in the Current Conflict in the Gaza Strip. Arabpsynet E. Journal, 20, 226-237. 119. Thabet, L., Thabet, AA, & Vostanis, P. (2007). Mental Health Problems among orphanage Children in the Gaza Strip. Adoption and Fostering Journal. 31, 2, 54-62. 120. Thabet, AA., Abu Tawahina, A., & El Sarraj, E. (2007). Domestic Violence and Mental Health of Palestinian Women, Arabpsynet E. Journal, Spring, 13, 137-143. 121. Abu Gamer, K., Thabet, A A, & Vostanis, P. (2007) Prevalence of Substance Abuse in the University Students in the Gaza Strip, Arab Psychiatric Journal, 18 (1), 10-20. 122. Abu Saif, K, Thabet A A, & Vostanis P. (2007). Depression among End-stage Renal Failure Patients in Gaza Strip. Arabpsynet E. Journal, 15, 16, 89-94. 124. Thabet, AA., Abu Tawahina, A., El Sarraj, E, & Vostanis, P (2007) Children Exposed to Political Conflict: Implications for Health Policy. Harvard Health Policy Review, Vol. 8, No. 2, 47-57. 125. Thabet, A. A., Abdulla, T., El Helou, M., & Vostanis, P. (2006). Effect of Trauma on Children Mental Health in the Gaza Strip and West Bank (Chapter in a Book (Eds) Greenbaum, C. W., Veerman, P., Bacon-Shnoor, N (2006). Protection of Children During Armed Political Conflict.A Multidisciplinary Perspective. Pp 123-138. 126. Thabet, A. A., Gammal, H., & Vostanis, P. (2006). Palestinian mothers’ perceptions of child mental health problems and services. World Psychiatry 5:2 - 108-112. 127. Thabet AA, Karim, K., & Vostanis P. (2006). Trauma Exposure in Pre-school Children in a War Zone. British Journal of Psychiatry, 188, 154-158. 128. Thabet, A. A., Abdulla, T., El Helou, M., & Vostanis, P. (2006). Prevalence of AHDH and PTSD among Palestinian Children in the Gaza and West Bank. Arabpsynet E. Journal, 12, 57-64. 129. Thabet, A. A. (2006). Expressive Writing Therapy for Victims of Trauma: Case study from Gaza. Arabpsynet E. Journal, 12, 85-88. 130. Thabet, A. A., & Abuateya, H. (2005). Palestinian Refugee Children and Caregivers in the Gaza Strip. Chapter 6 in Lewando Hundt G, Chatty D Children of Palestine: Experiencing forced migration in the Middle East. Sage Publication: UK. 131. Thabet A A, & Vostanis P. (2005). Child Mental Health Problems in the Gaza Strip. Israel Journal of Psychiatry, 42, 84-87. 132. Thabet AA, Khalid Karim, & Vostanis P. (2005). Group Crisis Intervention for Children during Ongoing War Conflict. European Child and Adolescent, Psychiatry, 14, 262-269. 133. Thabet, A. A. & Vostanis, P. (2005). The Validity and Reliability of Arabic Version of General Health Questionnaire in the Gaza Strip. Palestinian Medical Journal, 1(1), 33-36. 136. Lewando Hundt G, Chatty D, Thabet, A. A., & Abuateya, H. (2004). “Advocating Multi-Disciplinarity In Studying Complex Emergencies: The Limitations of A Psychological Approach to Understanding How Young People Cope With Prolonged Conflict In Gaza”, Journal of Biosocial Science, 36, 417–431. 137. Thabet, A.A., Abed, Y. & Vostanis, P. (2002). Emotional problems in Palestinian children living in a war zone: a cross-sectional study. Lancet, 359, 1801-1804. 138. Thabet, A.A., & Vostanis, P. (2001). Epidemiology of Psychiatric disorders in the Gaza Strip. Eastern Mediterranean Public Health Journal, 7, 403-412. 139. Thabet, A.A., Abed, Y. & Vostanis, P. (2001). The effect of trauma on Palestinian children and mother’s mental health in the Gaza Strip. Eastern Mediterranean Public Health Journal, 7, 314-321. 140. Thabet AA, & Vostanis P. (2000). Post-traumatic stress disorder reactions in children of war: a longitudinal study. Child Abuse and Neglect, 24, 291-298. 141. Thabet, A.A., Stretch, D. & Vostanis, P. (2000). Child mental health problems in Arab children: Application of the Strengths and Difficulties Questionnaire. International Journal of Social Psychiatry, 46, 266-280. 142. Thabet, A. A. & Vostanis, P. (1999). A visit to Gaza Community Mental Health Programme in Gaza: Training in children mental health. Psychiatric Bulletin, 23,300-302. 143. Thabet AA, & Vostanis P. (1999). Posttraumatic stress reactions in children of war. J Child Psychol Psychiatry, 40, 385-391. 144. Thabet, A. A. & Vostanis, P. (1998). Social adversities and anxiety disorders in the Gaza Strip. Archives of Childhood Diseases, 78, 439-442. 145. Abu Hein, F., Qouta, S., Thabet, A. A & El Sarraj, E. (1993). Trauma and mental health of children in Gaza. British Medical Journal, 306, 1129 1130. 4. Cultural influences in post-traumatic stress disorder in Palestinians (Paper presented in Seminar in Institute of Psychiatry, London). 17. Dajani, K.M & Thabet, A.A. (2000). Standardization of Manualized Treatment for Drug and Alcohol Addicts (Arabic version of Matrix manuals for treatment of drug addicts). 18. Thabet, A. A. (2000). Customary consanguineous marriage, and the health Impacts on the Gaza Strip population” (Research Report, MoH). 19. Obert, J. Dajani, K.K., Borki, S., Rawson, R. A., Thabet A, A. (2002). Outpatient Substance Abuse Treatment Using Scientifically Supported Treatment Manuals: A Srategy for Addressing Addiction among Palestinian and Israeli People; chapter 12 In R. Israloowitz, M. Afifi, & R. A. rawson (Eds.). Drug Problems: Cross-Cultural Policy and Program Development; (pp.201-212). Westport, Ct: Aubum House. 20. Thabet, AA, Abdeen, Z. Male Perception of Violence in West bank. Report (2006). 22. Thabet, A A. (2007). Baseline Survey for Psychosocial Care for Traumatized Children in Rafah Area Project. Report for WV-Rafah. 23. Thabet, A A. (2007). Baseline Survey for Coping with Trauma: Palestinian Children Voicing out Their Rights Project. Report for WV-Gaza. 24. Thabet, A, A. (2008). Need Assessment Survey for Psychosocial Problems in Children and Parents Victims of Violence and Trauma: In Beach Camp-Gaza. Jan. 2008 MercyCorps. 25. Thabet AA, Vostanis P. (2009). Posttraumatic Stress Reactions in Children of War. Chapter in a Book (Ed.) Dwan Kaoukji and Najat Jidis. Children's Services in the Developing world. Pp 267-271. Ashgat:UK. 26. Thabet, AA, Sana Sabah Thabet. (2014-Report). Stress, trauma, psychological problems, quality of life, and resilience of Palestinian Families in the Gaza Strip. Report published in July 2014.